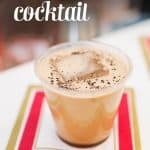 SUBSCRIBE NOW TO GET MY FREE COCKTAIL GUIDE. 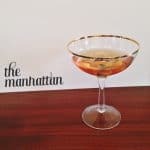 A round of Maple Manhattans, please! 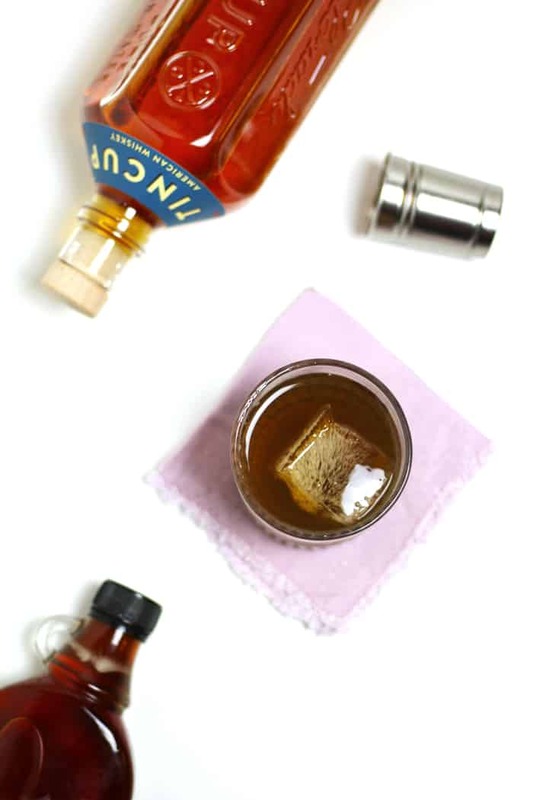 Here, rye whiskey teams up with dry vermouth and sugary maple syrup to bring you this strong yet slightly sweet version of the classic whiskey cocktail. It’s December! Me, oh my, how is that even real? I feel like I come here every month and talk about how quickly time is flying, but it’s true! It seems like just the other day I was planning the second (and, for now, last) Bright Blog Bash with my friend Katie, making Christmas cookies with my mom and ringing in the new year with my Charlotte friends. Somehow, 11 months have passed since then. But they’ve been good ones. There will be cookies, I promise, but for now let’s talk about one of those cocktails. The Maple Manhattan is my new favorite whiskey drink this year. 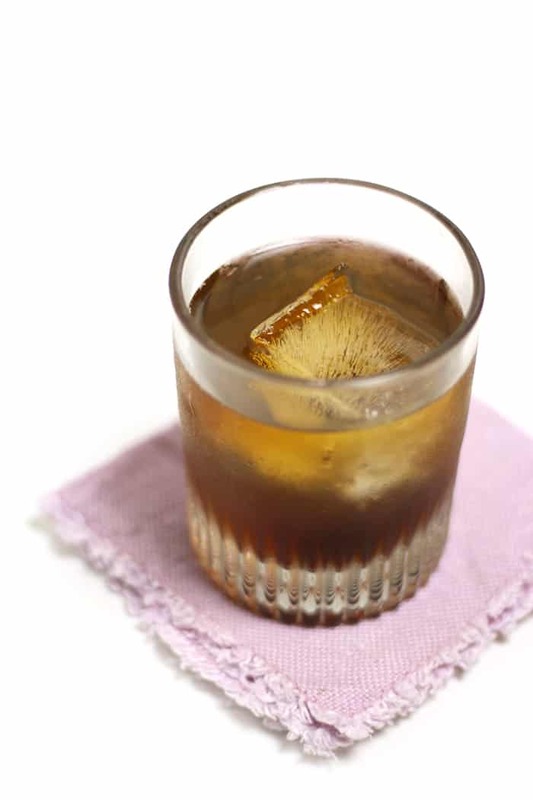 Rye whiskey partners with dry vermouth, sugary maple syrup and a cocktail cherry to bring you this strong, smooth and slightly sweet drink. You’ll love sipping it solo on a chilly night at home binging ‘Gilmore Girls’ or serving it to your friends at your holiday party. 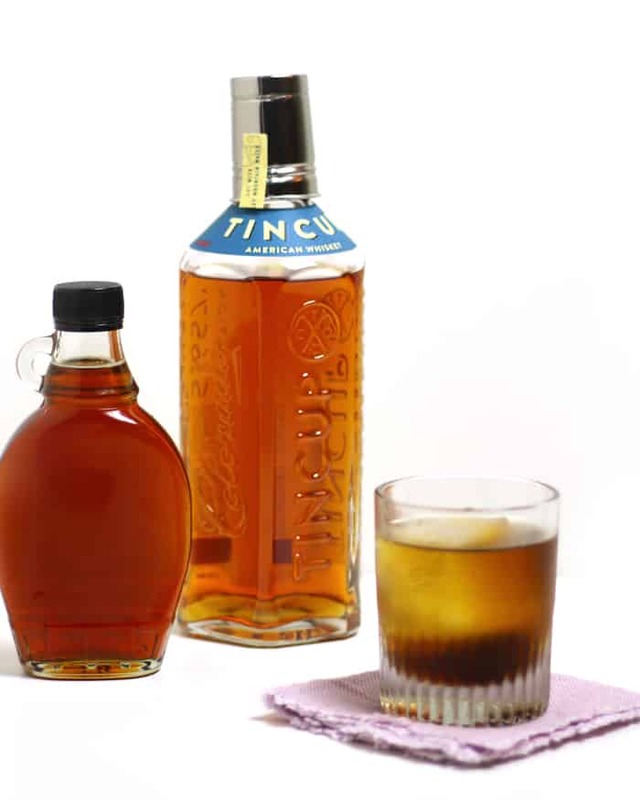 For the Maple Manhattan, I used TINCUP Colorado Whiskey courtesy my friends at Drizly. Depending on where you live, Drizly will deliver wine, beer and spirits to you — right to your door within an hour! Amazing. 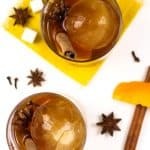 This is a take on a robust — and traditionally considered more masculine — drink that the ladies will enjoy. 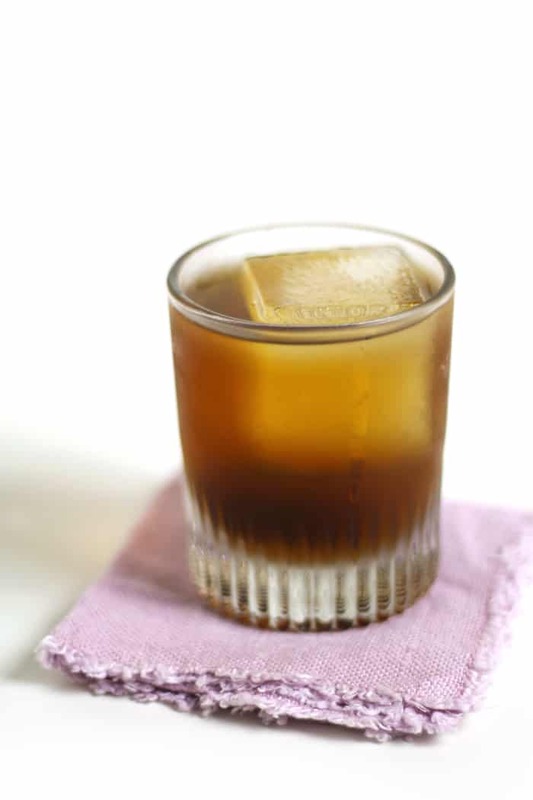 To a cocktail shaker filled with ice, combine whiskey, vermouth and syrup. Shake vigorously. 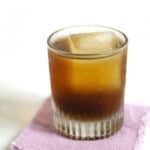 Meanwhile, add ice to a rocks glass (if desired) and fill with cocktail. Add 2 dashes bitter on top of each drink. Garnish with a cocktail cherry. Hi friend! I’m Susannah, and I’m so glad you’re here. On Feast + West you’ll find lots of indulgent recipes, travel inspiration and tips for cooking + entertaining — all to help make your life a little more luxurious. Read more! 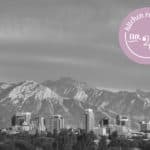 Get a free cocktail guide when you sign up for updates. Copyright © 2019 · Developed by Grace + Vine Studios · Designed by Garnishing Co.